Tales of Graces (テイルズ オブ グレイセス, Teiruzu Obu Gureisesu?) is a Japanese role-playing game released for the Wii on December 10, 2009 in Japan. The game is a core product of the Tales series and was developed by Namco Tales Studio. 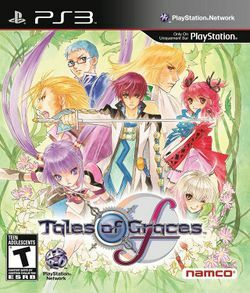 The game was ported to the PlayStation 3 under the title Tales of Graces f (テイルズ オブ グレイセス エフ, Teiruzu Obu Gureisesu Efu?) and was released on December 2, 2010 in Japan. The PlayStation 3 version was localized for North America on March 13, 2012 and Europe on August 31, 2012. The game takes place in a world known as Ephinea and follows Asbel Lhant. During his childhood, Asbel befriends an amnesiac girl and witnesses her death. Seven years later, he is reunited with the girl who retains her amnesia. The plot's central theme is RPG to Know the Strength to Protect (守る強さを知るRPG, Mamoru Tsuyosa o Shiru RPG?). Tales of Graces and Tales of Graces f both received positive reception in Japan. The Wii version sold over 100,000 copies while the PS3 version sold 200,000 copies during their week of release. The game was adapted into four manga collections, a novel series, and eight drama CDs. The English localization of Tales of Graces f received praise for the gameplay with mixed reviews for its presentation. 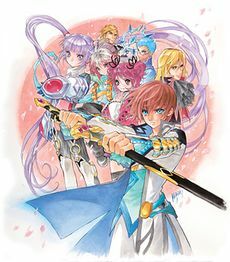 Asbel Lhant, the adventurous heir to the throne of the peaceful village of Lhant, spends his days exploring with Hubert Lhant, the intelligent and cautious younger brother of Asbel, and Cheria Barnes, the sickly granddaughter of their butler. One day, Asbel and Hubert come upon an amnesiac girl atop Lhant Hill, where they are forbidden entry. On the same day, the village is visited by Richard, the prince of Windor which Lhant is situated in. Together, the five go on an adventure that ends in catastrophe, causing the group to go their separate ways. Seven years later, a new adventure begins as the group is reunited due to the invasion of Windor by neighboring country Fendel, and the mysterious reappearance of the amnesiac girl who had been lost in the catastrophe seven years before. This page was last edited on 14 October 2018, at 01:00.